Titanium rings take their name from the famous Greek Gods – the Titans – and it is a reflection of their namesake that they are bold statement rings with effortless chic style matched with scratch resistance and durability. 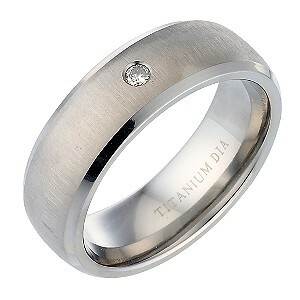 Perfect if he has demanding outdoor work or carries out duties at sea or underwater as titanium rings are known for their excellent corrosion resistant properties as equally as their steel grey demeanour. 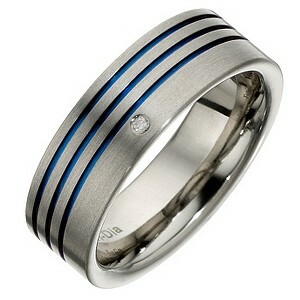 Titanium rings infused with colour are making waves in the jewellery world. Titanium is already known as one of the strongest, most durable metals that is corrosion resistant, durable and comfortable to wear. However the understated dark silver colouring betrays its true strength capable of tough environments and surviving life’s hard knocks.